Download and install the latest version of Whatsapp for android here. Now install the app. If install is blocked enable unknown sources. Then re-install the app. 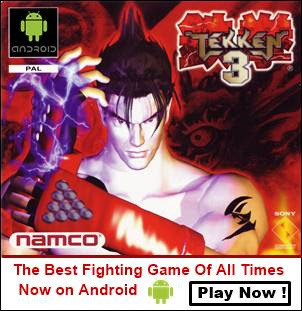 Now after installing the app, open it. When you open it you will see a welcome screen. Click the ‘Agree and continue’ button. When you click this button a note will open stating that “tablets are currently not supported.”. Click OK to begin the setup. 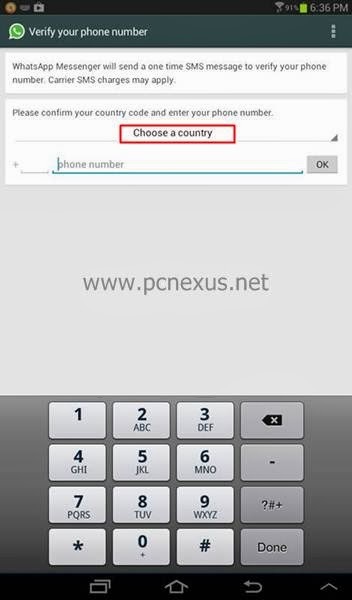 On the next screen you need to enter your phone number and choose the right country where you lives in. Enter the phone number which you use often. Do not enter your friend’s phone number. After entering the phone number click OK. When you click OK a popup will open asking you to verify your phone number. Click OK again. Whatsapp will automatically try to send a sms to the number specified by you. But after few minutes the sms verification will fail. 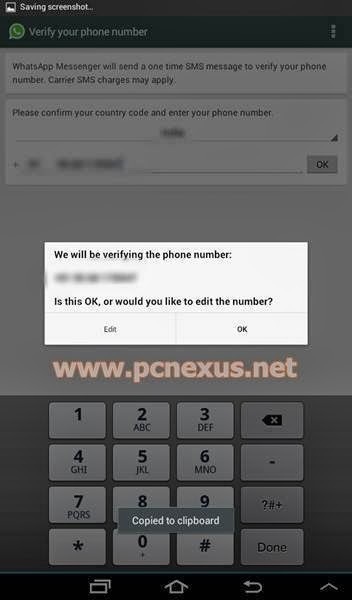 Now you will have to verify your number via voice call. Click the ‘Call me’ button to receive a voice call on that number. 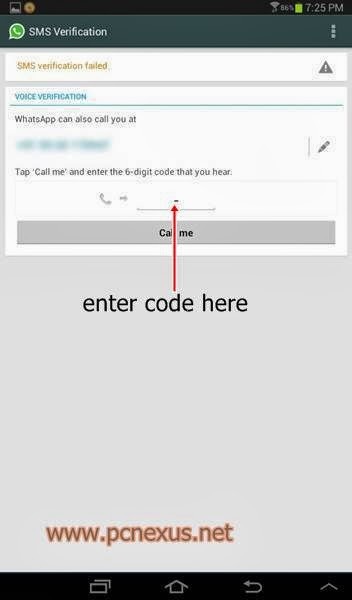 Hear the 6 digit verification code carefully. Enter this code in Whatsapp to verify your phone number. Now enter your name for Whatsapp profile and follow the instructions by clicking the ‘Next’ button on top right. Now you have successfully installed Whatsapp on galaxy tab 3 lite 7.0 with no no SIM support. To add contacts in Whatsapp just save the contacts list on your tablet and refresh the list in Whatsapp. Now you will need a working data network for sending and receiving messages on Whatsapp. You can use your smart phone’s network on your tablet via Wi-Fi hotspot, see this tutorial. Now Whatsapp will work on your android tablet. If you encounter any problem while installing Whatsapp on android tablet then feel free to ask via comments. Now check whatsapp tips and trick here. Thank you loads !!!!!!!!!!!!!!!!!!!!!!!!!!!!!!!!!!!!!!!!! Much freaking love ! !